Quadralite softbox is an extremely universal large-surface light-dispersing softbox designed for both product and portrait photography. 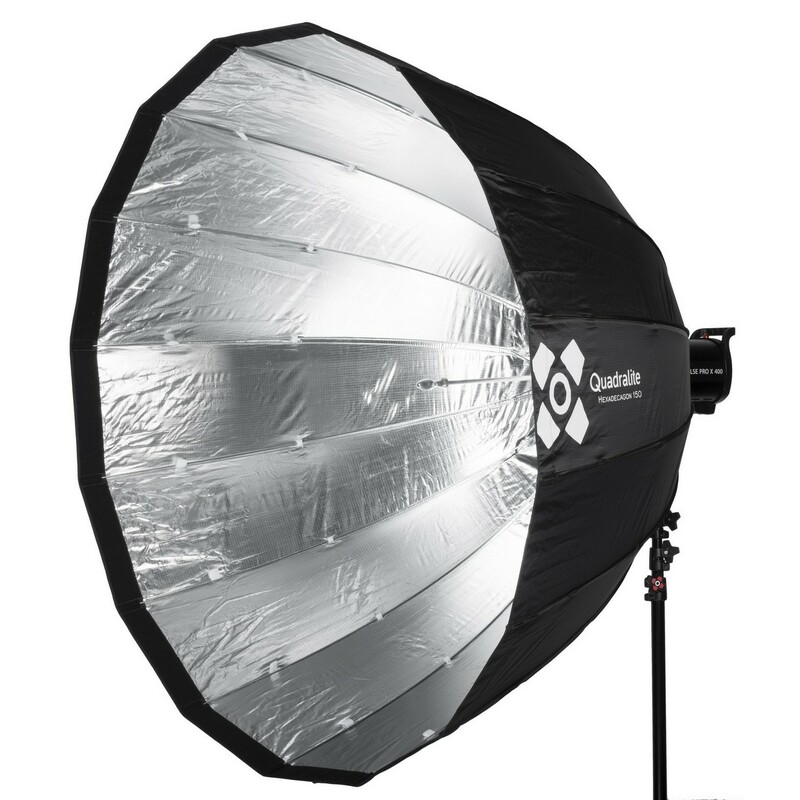 Quadralite Flex softbox can be folded and unfolded in no time at all. This light modifier will come in handy for people who tend to change their work environment quite often and who usually shoot under time pressure. Quadralite Flex Foldable Beauty-Dish is a versatile light modifier that combines portability, lightweight construction and high quality materials. It can be use as a beauty-dish to deliver dramatic lighting effect ideal for portrait, beauty and fashion photography. However it can be also transformed into a softbox to achieve soft and diffused light wrapping effect on the subject. 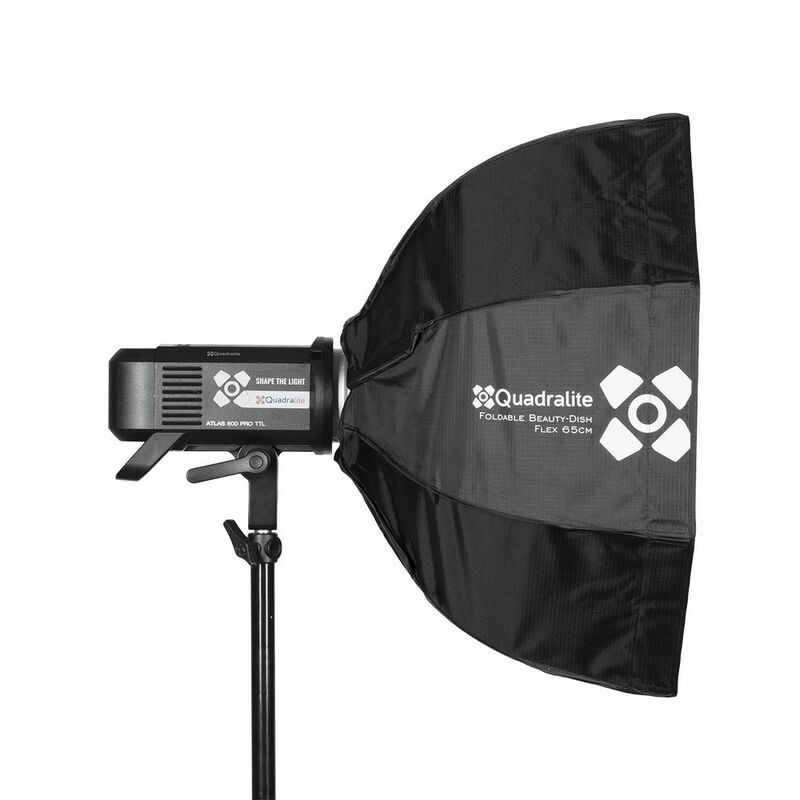 Quadralite Hexadecagon is a softbox that provides a very soft, yet easy to control light, regardless of whether we work in the studio or outdoors. Its 16-shaft hexadecagon construction provides appealing circular catchlights in the subject eyes, which makes it an ideal tool for portraits, fashion and beauty photoshoots. Quadralite Space White Parabolic Umbrella provides milk-white light reflecting surface and unique construction. This is a very useful light modifier that combines qualities of standard umbrellas and large softboxes, and is very helpful during portrait shoots where smooth, strongly dispersed, and soft light is required. 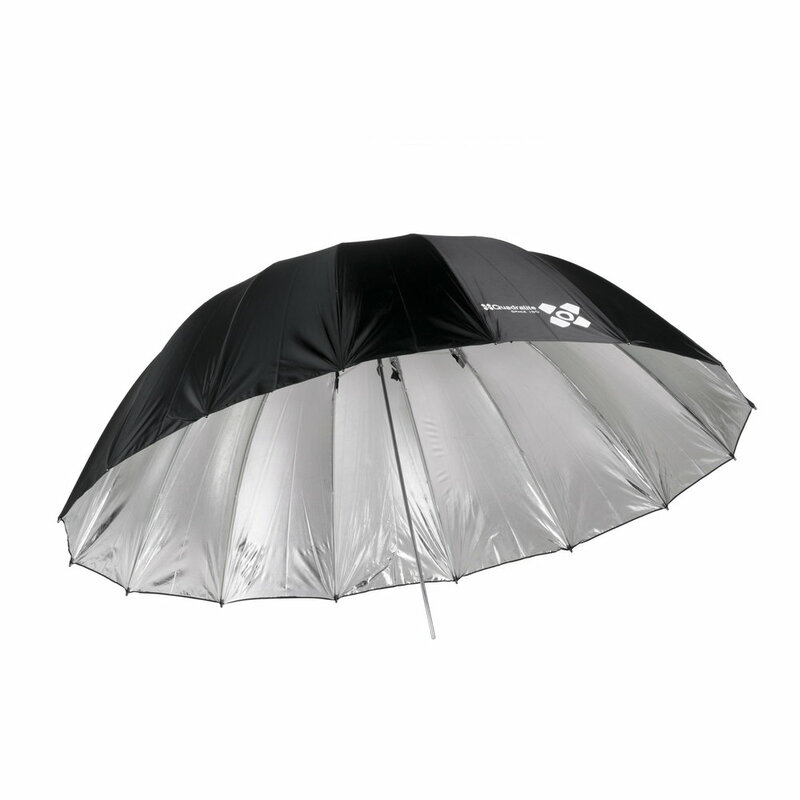 Quadralite Space Silver Parabolic Umbrella provides large light reflecting surface and unique construction. 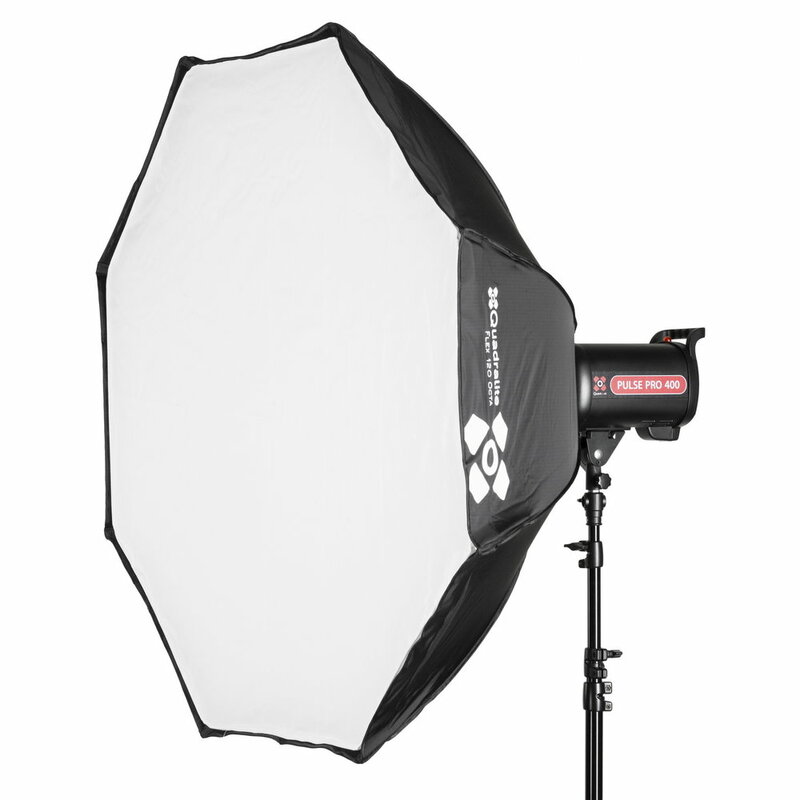 It serves as a very useful light modifier that combines advantages of standard umbrellas and large reflectors. 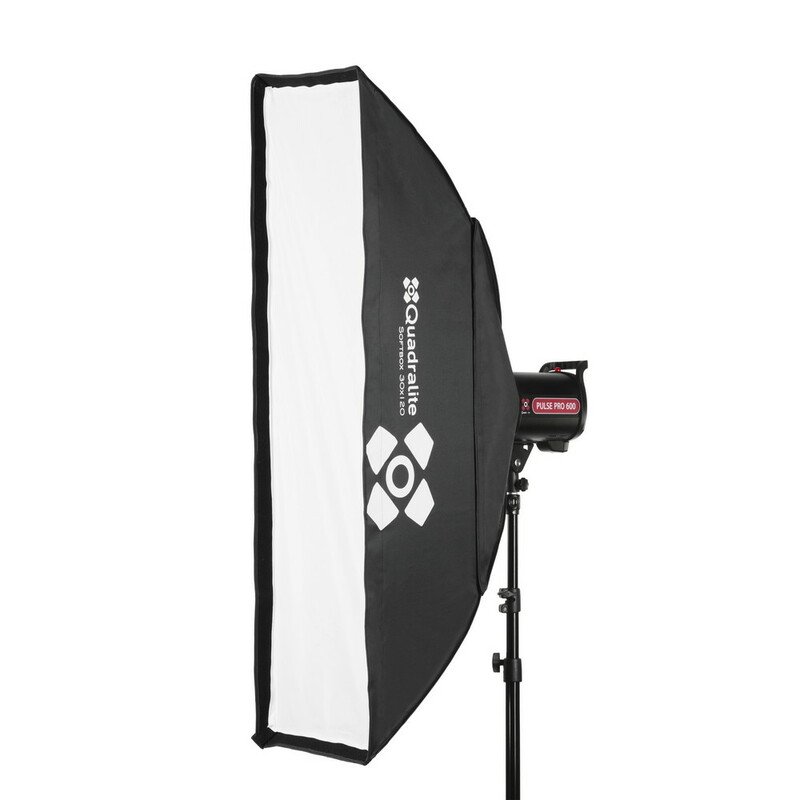 It is easily transportable, unfolds rapidly, and produces the contrasting light that is perfect for portrait shots. 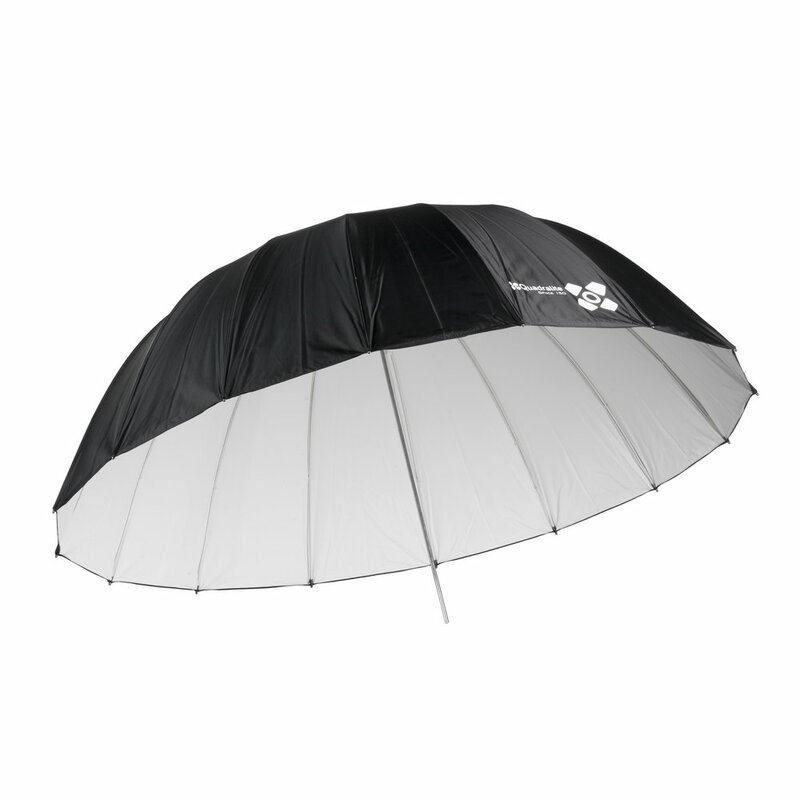 Quadralite Umbrella Softbox is a transparent umbrella which combines the qualities of a closed softbox with quick mounting system typical of standard umbrellas. Quadralite Transparent Umbrella is made of high quality white transparent fabric which ensure an even distribution of soft and smooth light on the subject. 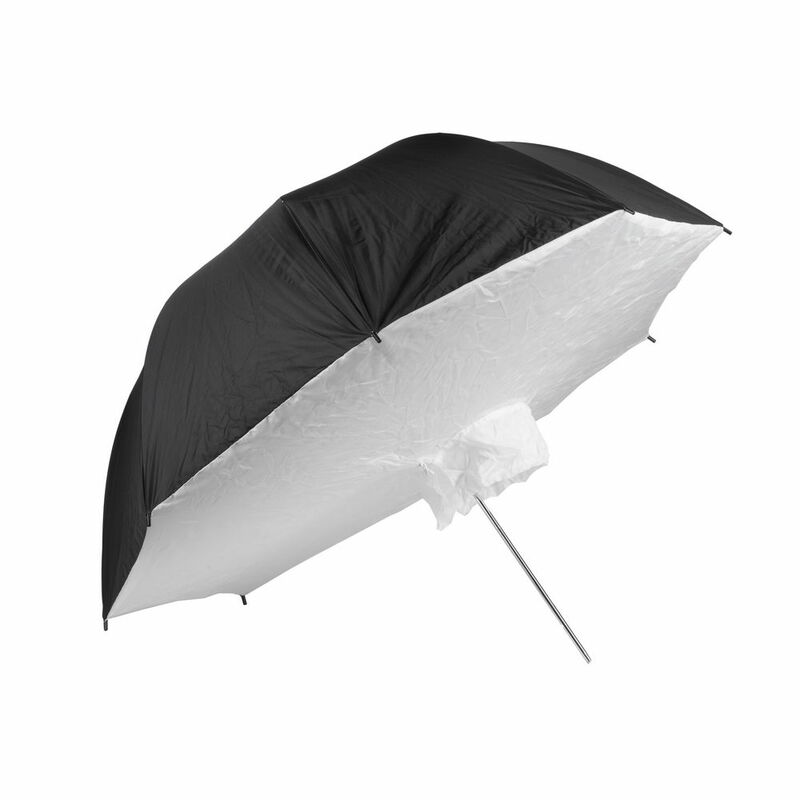 White Umbrella soften, diminish and braden light output from any flash-light source. Umbrellas with white interior will soften light and weaken it more than silver umbrellas. 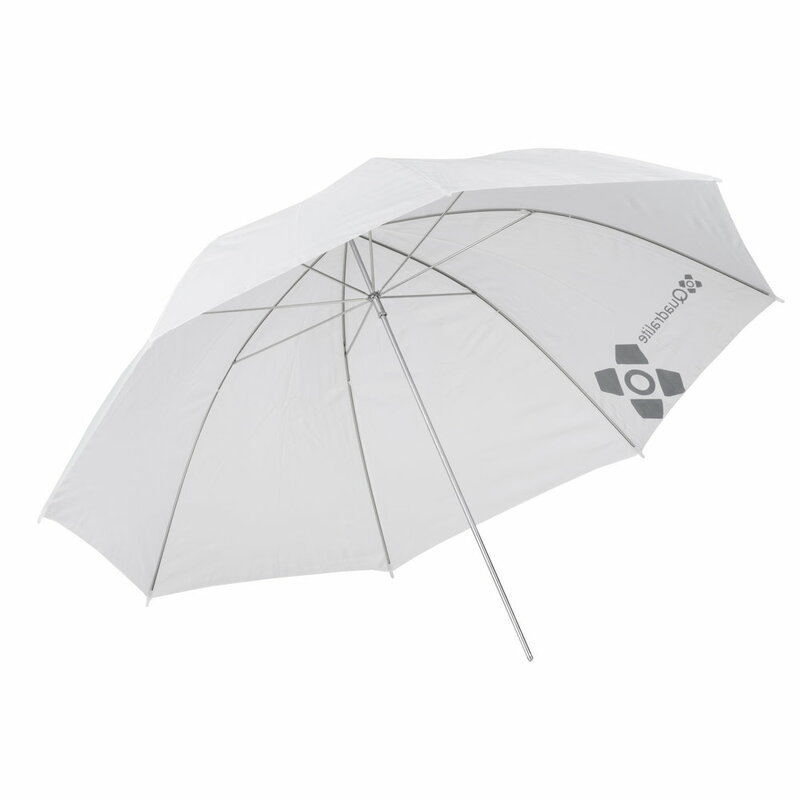 Quadralite umbrellas are light, easy to assemble to the lamp and convenient in transport. It is perfect solution for on-location photographers, who demand small and convenient light modifier. 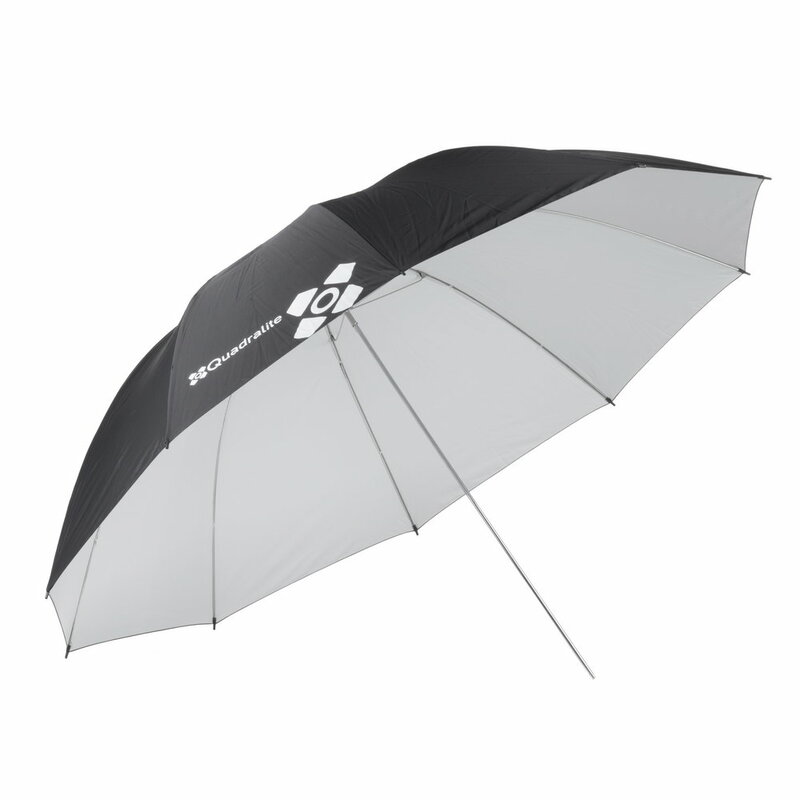 Quadralite Silver Umbrella is a simple and very useful and easy to use light modifier. It can be mount to every Quadralite flash. Made of high quality fabric and coated with highly reflective silver finish which ensure an even light distribution and a correct color temperature. 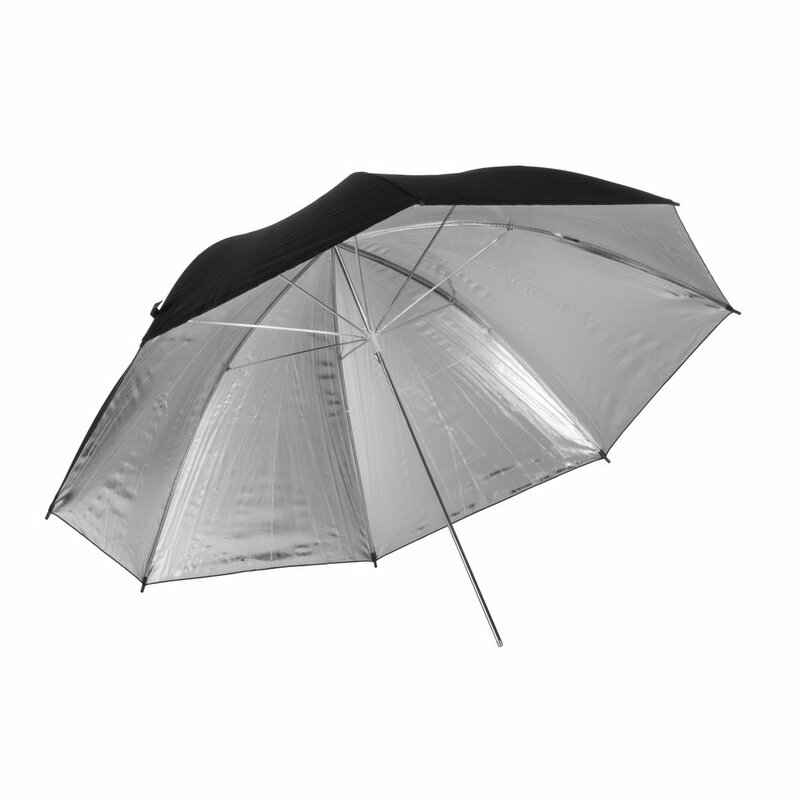 Quadralite Silver Umbrella gives slightly contrasty light with a defined shadow/highlight edge.